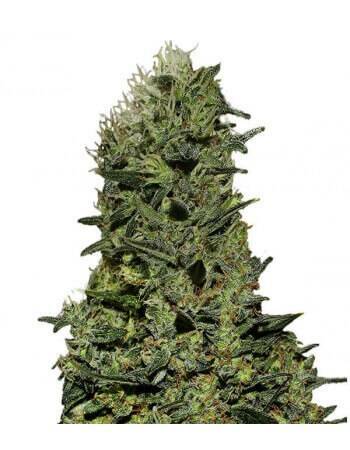 Amnesia Pro is one of our last, most successful releases in cannabis seeds. This excellent strain comes from a top-quality Amnesia Hy-Pro cross – well-known strain around Europe. The result is new genetics, very stable and productive, with short flowering-stage and fabulous citric flavor with earthy background. Amnesia Pro is ideal to monetize indoor grows, due to its fast flowering and high production – abundant quality crops in just ten weeks, with buds ready to be cropped after 65-70 flowering days, up to 500-550 g/square growing meter. This strain is also ideal for outdoor grows, due to its high strength against pests, like mites and fungi, and against inclement weather, like low temperatures; its small produced amount of leaves eases the peeling, drying and curing – easy strain with very good results (delicious buds ready to be cut by mid October). Excellent flavor, citric with that Haze earthy background which makes it delicious; when smoking it, an excellent incensed smell will perfume the house. Amnesia Pro is an 80% Sativa strain, with 22% THC and average CBD – extremely long-lasting high (strong strain, ideal for expert consumers).